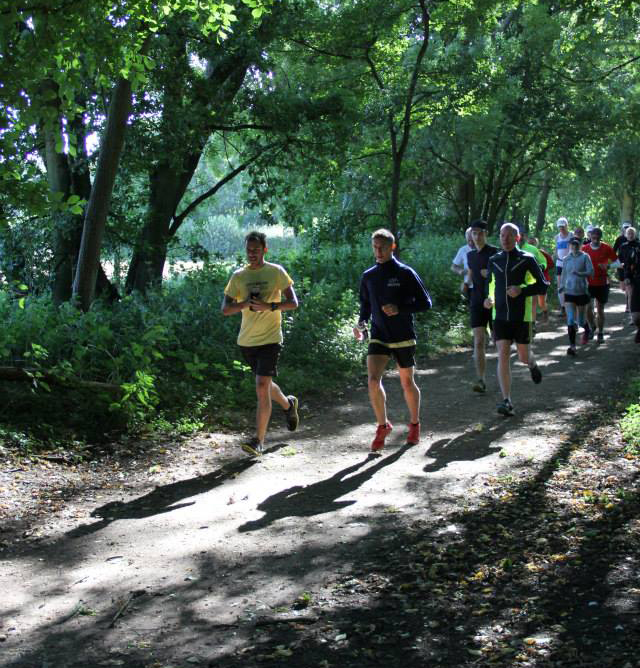 The Ayot 50m was organised by James Elson of Centurion Running as a low key training type event for a small group of people. 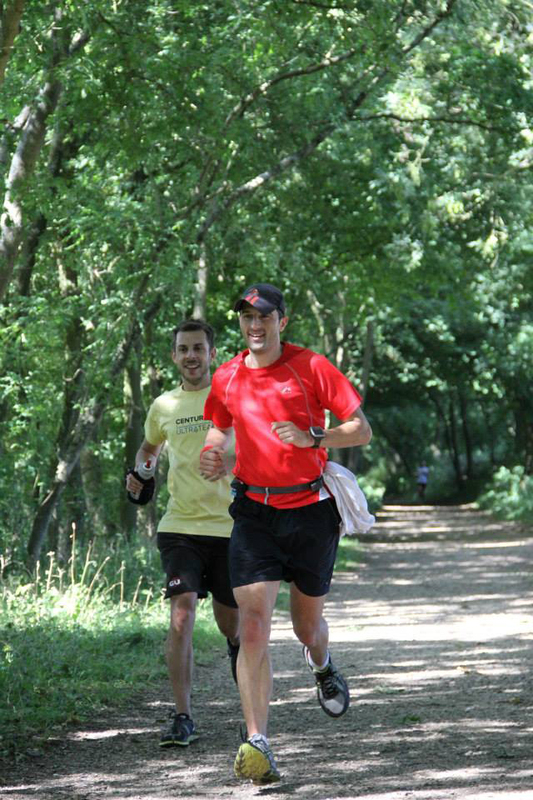 This was a week after the Thames Meander marathon but a chance to bank a long training run with some company as I get bored and demotivated spending more than a couple of hours out running by myself. I travelled to the start and chatted to a few of the other runners I knew including James Elson, Paul Navesey, Jerry Smallwood, Peter Johnson, Glyn Raymen and Gemma Carter and said hello to a few I hadn’t met before. The route itself was a multiple out and back along a long (over a couple of miles) country lane with some minor undulations. Runners had the option of running as many legs as they wish up to 11 legs (50 miles). I really didn’t have a plan as to how far I wanted to run, I wanted a decent paced training run but had a slight concern that a full 50 miles at a good pace only 3 weeks before Sparta would be a little too much. My initial plan was to run 5 legs at a good pace (about 22 miles) and judge it from there. The weather was cool at first but soon warmed up as I ran the first couple of legs with Gemma Carter and we chatted for a bit and it was good to catch up. Gemma had brought along her supporters who had kindly volunteered to keep track of the timings and take a few photos (thanks to Gemma’s partner for the picture below). After a few legs, we got separated after a brief pit stop and I caught up with the front runners of James Elson, Paul Navesey and Edwina and ran with them for a little while. With an out and back route we kept passing other runners all the time and gave the usual waves and nods of encouragement to each other. It was starting to become a warm day and I stripped off the base layer at one point. I completed the first 5 laps (22 miles ish) at a fairly decent pace of just under 8m/m and was starting to think about how far I wanted to run today. I still felt ok, but could start to feel that bit of stiffness in the legs and was thinking that I wanted to be able to run comfortably the next day as this was a planned training run. Peter Johnson at the start had mentioned he was going to run 7 laps which would equate to a 50k distance and the sounded like a good plan. At that point I decided to run two more laps and then record a 50k time. There was a little thought in my head that I was well on course for a 50 mile personal best if I saw the full distance out but after some consideration the head ruled the heart (for a change) and I recognised this wasn’t the goal or purpose of the run. I ran through the 26.2m distance in 3hrs 26mins only 4 mins over my previous marathon personal best but after this point mentally, I was starting to switch off a little and the pace then slowed a bit as I started to feel those usual “last few miles of a marathon” type aches in the legs. I ran the last leg out and then stopped at the turn and stretched the legs, walked a couple of hundred yards and then gently jogged in. Yep, my mind had definitely decided this was the last leg. I picked up the pace a little with a mile to go and completed the 50k distance in 4hrs 14 mins which was actually a personal best for the distance (ok I’ve only run that specific distance once before a couple of years ago) but in terms of a training run it was a good paced effort over the distance and I finished at a point where I could run the next day and continue the current block of training. I got changed and hung around at the turn point watching the other runners come and go (including Paul Navesey who despite a little whinge at the monotony of the route managed to complete 50 miles in a pretty zippy 6.25) before eventually saying my good byes and heading off. Thanks to James for organising the group run, it was good fun and ticked the box of making me run quicker and further than I usually would as well as providing some company to talk to.